Sisters find their calling in many different areas and discover new callings in time. 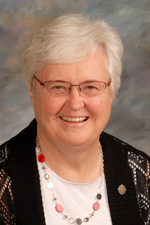 For Sister Kathleen Storms, SSND, photography became a newfound purpose. Her work has been featured in many SSND publications and will now be the cover of Eastern Iowa’s Regional Telephone Directory. 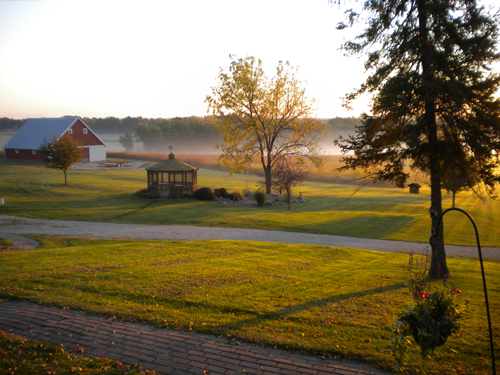 Sister Kathleen’s photo of an October sunrise at Our Lady of the Prairie Retreat in Wheatland, Iowa, was chosen out of many entries for the cover of the 2015-16 Eastern Iowa Regional Telephone Directory. The phone book will represent 14 area phone companies. Although Sister Kathleen does not view herself as a professional, she encourages others to try it and explore the world around them. the mission of Jesus Learn more about the associate program, see associates in action and find out how you can become an associate. Associates are lay women and men who form a spiritual relationship with the School Sisters of Notre Dame. Together, they work to continue the mission of Jesus and transform the world through education. Immigration: Just the facts The School Sisters of Notre Dame will host a seminar called “Immigration: Just the Facts”, Thursday evening, April 6, from 7:00 – 8:30 p.m. at Our Lady of Good Counsel in Mankato, Minn. A representative from the Immigrant Law Center of Minnesota will present facts about immigration. SSND Central Pacific Province in solidarity with Syrian Refugees As we enter a time of change and transition, we are reminded that we are all made in God’s image and are all God’s children. At this time more than ever, we must address world divisions and crises with audacity and hope, as every human life is sacred no matter ethnicity, religion or creed.